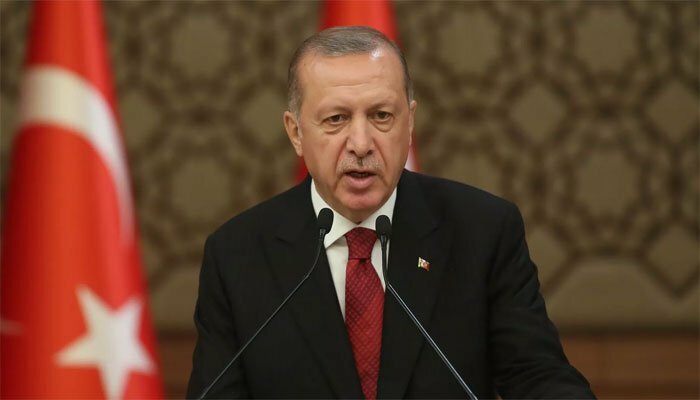 Istanbul: Turkish President Recep Tayyip Erdogan on Friday called on the world to fight back against Islamophobia in the same way it responded to "anti-Semitism after the Holocaust", following the deadly attacks on two New Zealand mosques. He live-streamed much of the killing and spread a manifesto on social media claiming it was a strike against Muslim "invaders". He also referenced Turkey, and Istanbul´s landmark Hagia Sophia, that was once a church before becoming a mosque during the Ottoman empire. New Zealand´s government on Friday reassured Muslims living in the country they would be "safe and secure" despite the deadly attacks in Christchurch. Erdogan, campaigning for local elections this month, had angered New Zealand´s government by repeatedly showing the video made by the alleged gunman, an Australian who was arrested after the massacre. More than 8,000 Australians and nearly 3,000 New Zealanders -- part of forces known as ANZAC -- died fighting Turkish forces at Gallipoli, which has a prominent place in Australia´s collective memory. On Friday, the tone was more conciliatory. Turkey´s Foreign Minister Mevlut Cavusoglu praised New Zealand authorities and their "sincere solidarity messages".